‘FAN N STAR’, where fans and stars breath together, has started the birthday project for JaeHyun, member of NCT, on January 18. It is a global event where JaeHyun’s birthday event video will be displayed on the billboards in Korea and Japan. The billboards are located in the center of the major cities of both Korea and Japan. The birthday messages from the fans of JaeHyun will be screening on the billboards together with the photos. Five messages through random pick will be displayed. 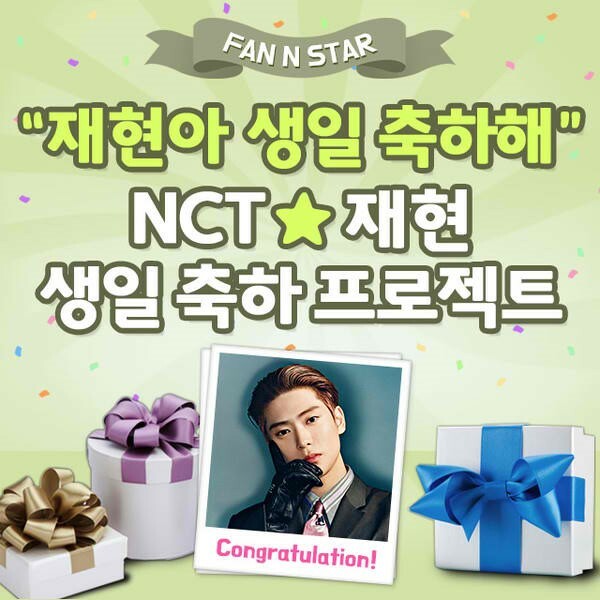 Participation of the even can be done in ‘Star Market’ page of ‘FAN N STAR’ website. It is done through contributing the collected stars by fans to the birthday market. The star points can be collected or earned through various activities within website. JaeHyun’s birthday support runs until the 3rd of next month. As NCT is a group receiving lots of love from the fans worldwide, the success of the project is expected.